Gender inequalities generate risks for women and girls on a daily basis. In Chad, at least one in every three women have been victims of physical, psychological and/or sexual violence at the hands of their partners. 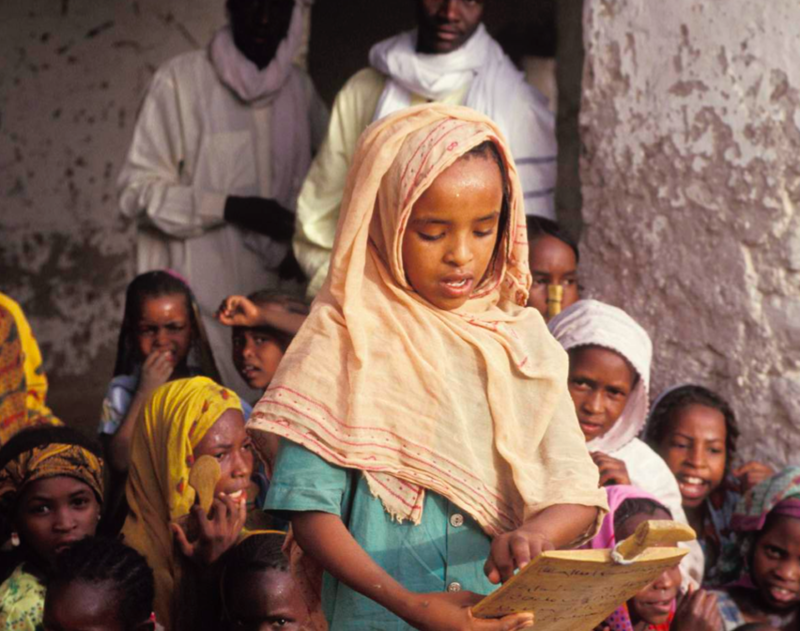 Adolescent girls are highly vulnerable to child marriage and violence; particularly female genital mutilation (FGM). A new BRACED report* explores why addressing violence against women and girls (VAWG) matters for development programmes that aim to build people’s resilience to disaster risks and climate change, particularly in fragile environmental, economic and political contexts. The report examines governmental and non-governmental initiatives seeking to build resilience and fight against the processes that maintain exclusion and vulnerability in Chad. *Download the full report from the right-hand column. A connected policy brief makes recommendations for development practitioners to advocate for the elimination of all violence and discrimination. The research that unpins this report on linking resilience and VAWG in Chad draws on a combination of secondary data from the 2014–2015 Demographic and Health Survey, which documents the nature and extent of VAWG in Chad, and primary qualitative data in the form of in-depth, semi-structured interviews and focus group discussions with women and girls, analysed to understand how violence affect the resilience of survivors and those who live with them. Data were collected in two regions of Chad – Sila and Bahr el Ghazal – as well as in the capital, N’Djamena. VAWG is a daily risk, and it is not a problem that exists only in times of conflict and crisis. The most reported forms of violence are early (child) marriages, physical and sexual violence perpetrated by relatives, polygamy and associated discrimination against women (homelessness, risk of divorce) and the denial of resources and opportunities for women. ​Discrimination and associated VAWG has multiple effects on the livelihoods of survivors. Human capital: The health of survivors, especially adolescent girls, is severely affected by violence, particularly within the context of extremely limited health services in Chad. Financial capital: Violence affects the household, whose economic resources are strained by the additional expense of covering medical care, and limit the physical and/or mental capacity of survivors to fill their domestic tasks and/or engage in productive activities. Physical capital: Unequal access of women to education, training, information, land ownership or control of the family budget limits the physical capital of the home that would allow all members to better protect themselves or adapt in times of crisis. Social capital: Survivors of sexual violence and unmarried pregnant women face rejection by their families and communities, which affects their ability to save or access financial support. Natural capital: The risk of violence that women and girls are exposed to when they move outside their village or camp to obtain water and firewood could potentially limit their access to natural resources, though testimonials do not confirm this hypothesis. ​​VAWG also affects other processes of social change. Supports social norms that maintain unequal and discriminatory power relations. Gender inequality, particularly VAWG, acts as a barrier to resilience-building. From precarious reproductive health to a low literacy rate, there are a number of institutional obstacles that prevent women and girls from accessing the same opportunities as men and boys, and also from exercising decision-making power and agency on an gender-equal footing. In fragile contexts where VAWG is prevalent, there is a gap between the humanitarian response in emergency situations and the responses of relevant institutions to tackle and respond to everyday violence. In times of crisis, the multi-sectoral response initiated by NGOs and UN agencies is based on well-established protection principles and processes that address and help prevent VAWG. From these key findings, the report concludes that if, in the face of VAWG, there are only mitigating measures adopted – e.g. supporting survivors’ health or their financial capital – and no holistic action is taken to respond to the underlying structural causes of VAWG and gender inequality, then development initiatives can only hope to moderately contribute resilience building. The findings of this report on linking resilience and VAWG leads to a number of recommendations and lessons learned for NGOs working in Chad and other such fragile contexts where gender inequality is ingrained and VAWG is prevalent. Specific suggests for complimentary resilience-building and eradicating VAWG include ensuring access to reproductive health, promoting the importance of women’s and girls’ groups, maximizing the role of authorities, including traditional and religious leaders, establishing a holistic response to violence, and gender mainstreaming throughout resilience initiatives. Read more recommendations in a policy brief connected to this report. Le Masson, V., Benoudji, C., Sotelo-Reyes, S., and Bernard, G., 2018. Violence against women and girls and resilience: Links, impacts and perspectives from the Chadian context. BRACED.